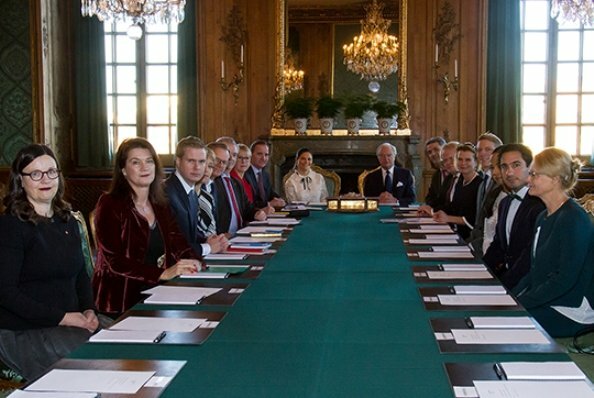 On December 4, Monday, a meeting of Council of State was held at the Stockholm Royal Palace. King Gustaf of Sweden and Crown Princess Victoria of Sweden attended the meeting. During the meeting, ministers gave information to the king, regarding political initiatives, investigations and current legislations. According to the 1974 constitution, Prime Minister is responsible for giving information to the King about works of the Government on a regular basis. This blouse is perfect.What a shame that it is only one photo which doesn 't show Victoria closer. I so wish she would get rid of this shirt. Agree totally with you. She must love it, we have seen this so often lately. Nice materials but ugly result. Proportions are so wrong or something. Too short and too short sleeves. Looks several sizes too small when is not really. I'll also chime in to say no. 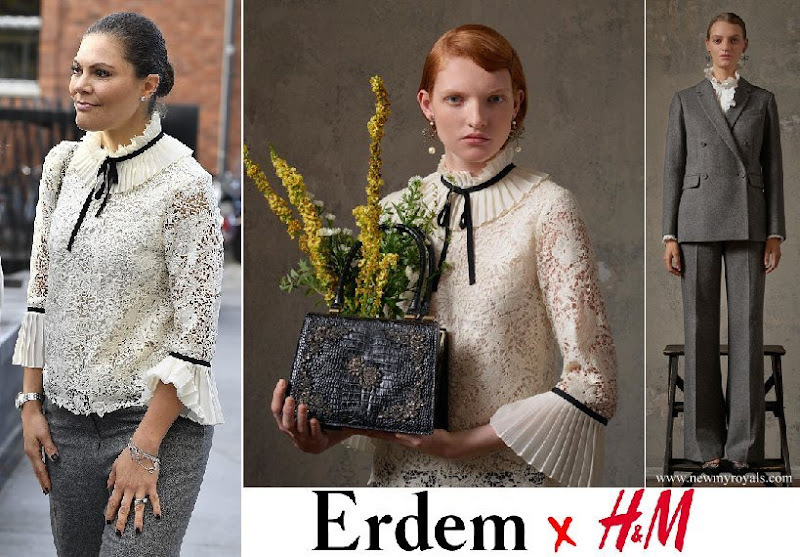 When I saw it I thought - not that blouse again! Never mind her blouse, she is still amazing, always performs, always correct.